TROLLS hits theaters everywhere on November 4, 2016! DreamWorks Animation's TROLLS is an irreverent comedy extravaganza with incredible music! From the genius creators of SHREK, TROLLS stars Poppy, the optimistic leader of the Trolls, and her polar opposite, Branch. 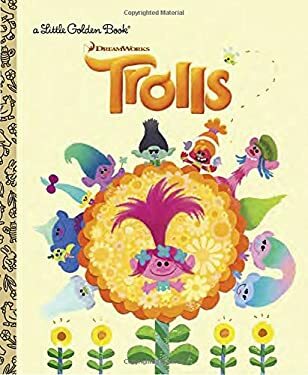 Together, this unlikely pair of Trolls must embark on an adventure that takes them far beyond the only world they've ever known. Boys and girls ages 3 to 5 will love this beautifully illustrated Little Golden Book that follows the adventures of Poppy and Branch!